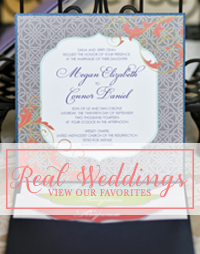 Megan & Connor didn't want anything overly feminine and frilly, so even though the font is all flourishy and pretty, it doesn't feel overly girly. 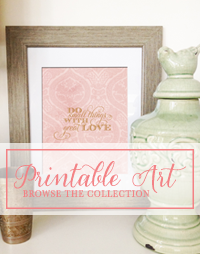 This design really is as fuss free as you can get with a save the date. To avoid crowding the photo, we kept the text very simple by directing their guests to their website for important details, like location. 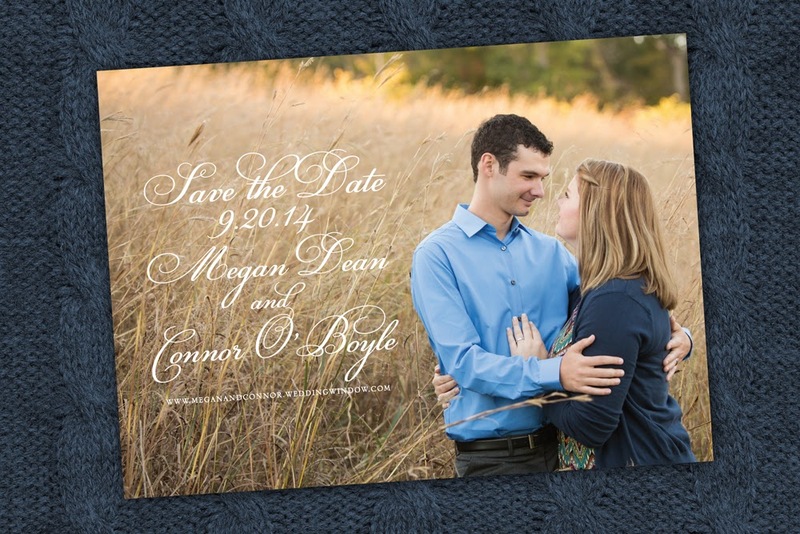 If you are planning to use an engagement photo for your save the dates, consider talking to your photographer ahead of time and asking him or her for some photos that are offset, like Megan & Connor's, so that you can have some space to include text for your save the date. Be sure to stop by tomorrow for a fun Friday Finds!